This dark stout is brewed with vanilla beans and "Piney River Blend" beans by Brick and Mortar Coffee in Springfield, MO. 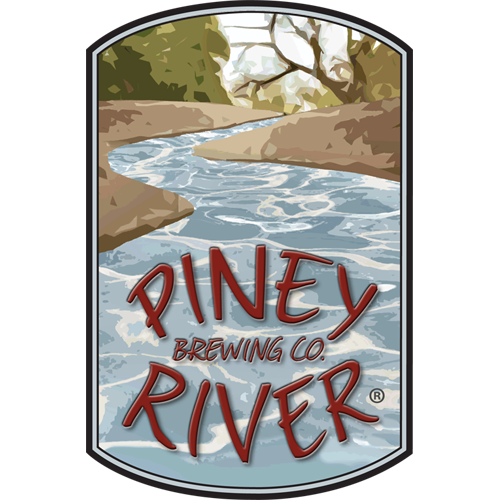 Handcrafted by the Piney River Brewing team, a non-alcoholic root beer for Andy, son of owner's Brian and Joleen, and all of his friends. Andy's Root Beer is brewed with Ozark spring water and pure cane sugar. It is caffeine free. Deep purple in color, this sour wheat ale has an aroma and light blackberry flavor from the addition of fresh blackberries during fermentation. Extremely sessionable at 4% ABV, Blackberry Lizzie Twister has a dry, clean, and refreshing finish. In the Ozarks, every lake cove or river eddy presents a perfect opportunity to grab your favorite crankbait. Send it for a dive, a twitch around a rock and--BAM--a fish is on! Catch...release...cast again. Just like the perfect crankbait, our handcrafted Cream Ale is easy--at the lake, in the river or down on the pond bank. A traditional Berliner-style weisse beer, a wheat base with tart finish from lactobacillus used in the fermentation. Brewed in the BARn, this beer is part of the Farm-Raised series of beers from our mixed fermentation brewery. Annual anniversary imperial IPA. 2019 Mule Team is a brut-style hopped and double dry-hopped exclusively with Nelson Sauvin hops.